When I planned my South America trip last year, I intended for it to be a productive hiatus from studying, which would also scratch the travel itch that had been worsening. I was supposed to hit the books again come September. But...you know how it is. When you scratch it, the itch gets worse! By the time I fly back into Canada in April, I was pretty sure my semester-long break was going to be extended. I worked my usual cooking gig in the treeplanting camp for the spring and summer, visited lots of relatives and roadtripped down to the Oregon Coast in August, and now its September! 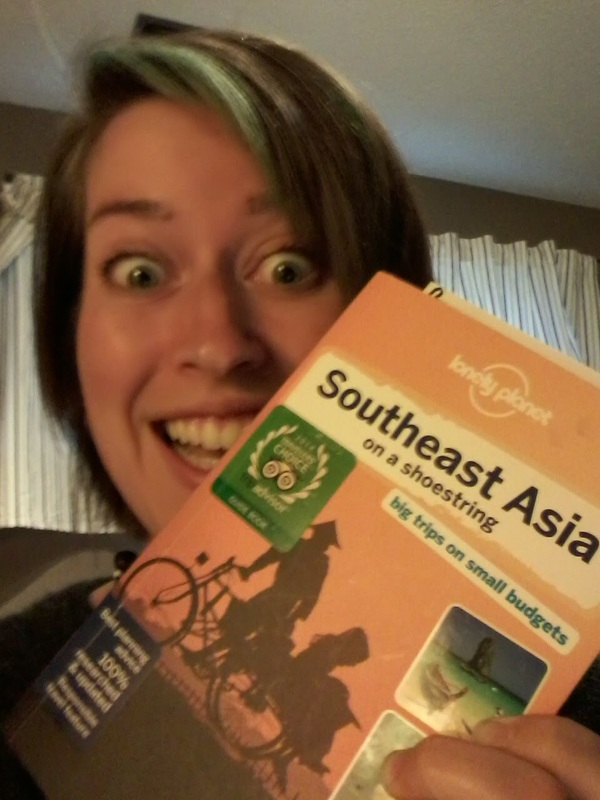 As of today, its official- in just over 2 weeks I'm heading out on another backpacking adventure! I will fly into Bangkok, the capital of Thailand on October 2, and begin my travels through Southeast Asia that may last as long as 6 months! Like my trip to South America, I am traveling solo and hoping to do some volunteering, treks, and tasting of the delicious local dishes! So far my intinerary includes a month of volunteering in Bangkok, hopefully meeting up with some contacts for a local's-eye look at Vietnam, chilling out in Laos, popping over to Myanmar/Burma for a glimpse of the country that has only relatively recently become tourist-friendly, another couple weeks exploring the rest of Thailand, visiting Angkor Watt in Cambodia, tasting the wild variety of street food and outdoor adventures in Malaysia, and flying to the Phillipines for some sweet, sweet beach time! I don't know all the details yet, but I am pretty excited about everything, and I know it will be a crazy and awesome adventure! While I'm not making any promises, I am hoping that I will maintain the blog a little better than last time seeing as I've purchased a new Samsung tablet which, unlike the last device, is compatible with Blogger (and Skype!!!). I have also ordered a keyboard for it, which will make typing up a blog post much faster and less of a nuisance than tapping away on a touchscreen. I should also be able to upload photos to it, so it will be awesome to share some visual updates on the road! I am looking forward to the stories and the photos! Hope your tablet and keyboard work really well for you! Another great adventure about to begin! I'm happy to travel along via this blog as I am living vicariously through your experiences! Looking forward to reading about this trip too, Jill! Oct 2 is fast approaching! And yes, I can't believe how fast it's coming up!!! AHHH!! !